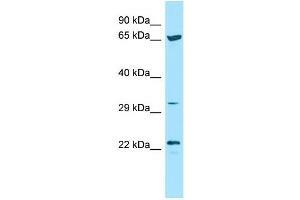 Characteristics This is a rabbit polyclonal antibody against ICOSLG. It was validated on Western Blot. Background ICOSLG is a ligand for the T-cell-specific cell surface receptor ICOS. ICOSLG acts as a costimulatory signal for T-cell proliferation and cytokine secretion, induces also B-cell proliferation and differentiation into plasma cells. ICOSLG could play an important role in mediating local tissue responses to inflammatory conditions, as well as in modulating the secondary immune response by co-stimulating memory T-cell function.